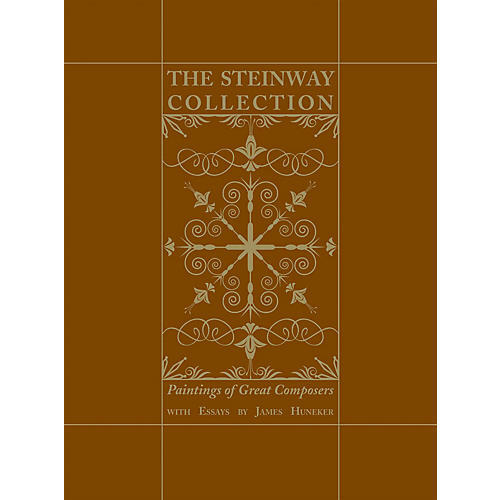 Music lovers will delight in the beautiful color paintings and eloquent prose portraits in The Steinway Collection: Paintings of Great Composers. Chopin, Wagner, Liszt, Beethoven, Berlioz, Mozart, Verdi, Mendelssohn, Handel, and Schubert are among the composers celebrated in this historic book, which was originally printed in 1919 as an in-house publication of Steinway & Sons but has never before been released to the public. The paintings by esteemed American artists and accompanying essays by the brilliant critic James Gibbons Huneker are intended, in Mr. Huneker's words, to evoke musical visions; for music is visionary, notwithstanding its primal appeal to the ear. An introduction by acclaimed broadcaster and writer David Dubal, Juilliard professor of piano literature, gives the book historical perspective.